BOB MARLEY AND THE WAILERS-KAYA VINYL DELUXE EDITION. Nine month after Bob Marley and The Wailers released their critically acclaimed classic album Exodus in June 1977, they returned on the ‘23rd’ of March 1978 with their much-anticipated tenth album Kaya. It was a very different album to Exodus, and was one of Bob Marley and The Wailers’ most controversial releases. Kaya had a much more relaxed, laid-back and optimistic sound. Many of the songs were about love, while others were about marijuana. This resulted in the cries of sell-out from critics and fans who accused Bob Marley and The Wailers of going soft and being more concerned with commercial success than political problems. Bob Marley’s decision to eschew militant and outspoken music filled with social comment, and include a much more relaxed, laid-back and optimistic sound was a huge risk, but one that paid off. Nowadays, Kaya is regarded as one of Bob Marley and The Wailers finest hours, and UMC have released Kaya as a two CD set. It was the fifth album Bob Marley and The Wailers had released for Island Records. Ever since Bob Marley and The Wailers had signed to Chris Blackwell’s Island Records, their career had been transformed. Their first release for Island Records was their fifth album Catch A Fire. Released in April 1973, Catch A Fire proved more popular in Britain than America. It reached number 171 in the US Billboard 200 and number fifty-one in the US R&B Charts. Critically acclaimed upon its release, Catch A Fire was certified silver in the UK and is featured in Rolling Stone magazine’s list of 500 best albums of all times. Six months after the release of Catch A Fire, came the album that broke Bob Marley and The Wailers in the US. Burnin’ wasn’t just the album that broke Bob Marley and The Wailers in America, but was also the last album to feature Peter Tosh and Bunny Wailer. After the release of Burnin’ in October 1973, they embarked upon solo careers. And they did so, with a gold disc. On its release, Burnin’ reached number 151 in the US Billboard 200 and number forty-one in the US R&B Charts. This resulted in a gold disc in America, while it was certified silver in the UK. Featuring classics like Get Up, Stand Up and I Shot The Sheriff, Burnin’ marks the debut of the militant, confrontational Bob Marley. However, If Burnin’ marked the birth of a reggae revolutionary, Bob Marley picked up the baton on Natty Dread. Natty Dread was released a year after Burnin,’ in October 1974. The wait was worthwhile though. Here was an album which featured Bob Marley at his militant and confrontational best. He was like a reggae revolutionary, protesting against injustice, on an album that’s politically charged and full of social comment. Featuring No Woman, No Cry and Them Belly Full (But We Hungry) Bob Marley rails against poverty, while Rebel Music (3 O’Clock Roadblock) and Revolution are akin to a call to arms). On it release, Natty Dread was more popular in the UK than US. It was certified gold in the UK, but only reached number ninety-two in the US Billboard 200 and number forty-four in the US R&B Charts. Following three commercially successful and critically acclaimed albums, it would be another two years before Bob Marley and The Wailers released another studio album. While Bob Marley and The Wailers didn’t release another studio album until 1976, they released their first live album. Released in December 1975, and simply entitled Live, this gave fans an opportunity to hear what Bob Marley and The Wailers live sounded like. Recorded on td 18th and 19th July 1975, Live was a tantalising taste of one of the best live groups of the seventies. Fans and critics agreed, with Live reaching number ninety in the US Billboard 200. This resulted in Live being certified gold in the US and silver in the UK. Although Live and their three previous studio albums had been successful, their next album would surpass everything they’d previously released. When Rastaman Vibration was released in April 1976, it became Bob Marley and The Wailers’ only album to enter the top ten in the US Billboard 200. It also featured their most successful American single the Vincent Ford penned Roots, Rock, Reggae, which reached number fifty-one in the US Billboard 100. Rastaman Vibration reached number eight in the US Billboard 200 and number eleven in the US R&B Charts. Unlike previous albums, Rastaman Vibration featured synths alongside the Wailers famed rhythm section. This added a contrast to the power of rhythm section, and are part of Rastaman Vibration’s success. Good as Rastaman Vibration was, Bob Marley and The Wailers next album was a stonewall classic…Exodus. After an attempted assassination on 3rd December 1976 in Jamaica, Bob Marley took up residence in London. Although he’d been shot in the chest, he’d been luck, things could’ve been much worse. So rather than record the remainder of Exodus in Jamaica, parts of it were recorded in London. When Exodus was released in June 1977, it was the album that transformed Bob Marley into a worldwide star. Exodus was crammed full of quality music including Jamming, Waiting In Vain, Turn Your Lights Down Low, Three Little Birds and One Love/People Get Ready were lined by Natural Mystic, Heathen and Exodus. Critics referred to Exodus as a classic album and it features in Rolling Stone magazine’s list of 500 best albums of all times. Fans loved Exodus. It reached number twenty in the US Billboard 200 and fifteen in the US R&B Charts. This resulted in Exodus being certified gold in the US and UK. Having released a timeless classic album, Exodus, Bob Marley and The Wailers tried to repeat this feat with Kaya. Much of Kaya had been recorded at the same time as Exodus. Two of the tracks, Kaya and The Sun Is Shining had featured on Bob Marley and The Wailers 1973 compilation African Herbsman, which was released on Trojan Records. When Kaya was released in March 1978, it reached number fifty in the US Billboard 200 and US R&B Charts, resulting in Kaya being certified gold in the US. Across the Atlantic, Kaya reached number four in the UK, and was certified gold. Despite the success of Kaya, Bob Marley and The Wailers’ tenth album faced a backlash from critics and fans. Rather that revolution, Kaya was an album that saw Bob Marley and The Wailers’ music evolve. Bob Marley wrote the ten tracks on Kaya which saw Jamaican and Western music combine. Kaya was a fusion of two musical cultures that Bob Marley embraced. This was similar to previous albums, going back to Burnin.’ Where things differed were with Kaya’s lyrics. Whereas previous albums were politically charged and filled with searing social comment, Kaya focused on a variety of themes, including love and marijuana. Indeed, the word “Kaya” is synonymous with marijuana in Jamaican culture. When critics heard the songs on Kaya, they accused Bob Marley and The Wailers of selling out. The music on Kaya was much more laid-back and relaxing. Soon, fans joined critics in accusing Bob Marley and The Mailers of selling out. Was that the case though? Not only did critics accuse Bob Marley and The Wailers of selling out on Kaya, but they accused him of penning a ten track love letter to marijuana. That was unfair, though. While much of Kaya was about love, and there were tracks about marijuana, there was much more to Kaya than that. Other subjects included unity, togetherness, commonality and spirituality. While the music lacked the militancy of previous albums, it had a much more laid-back, understated sound. Proof of this is the rhythmic delights of Satisfy My Soul. This showed another side to Bob Marley and The Wailers’ music, one that was captivating and appealed to a wide range of music fans. Like most Bob Marley and The Wailers’ albums, Kaya contained a couple of classics. This included the timeless, hopeful and optimistic hopeful Easy Skanking and Is This Love. Showing another side to Kaya, was the broody, moody and thoughtful Running Away. Despite the lack of politically charged songs, there was still a spiritual side to Kaya. Similar to other albums, Bob Marley continues to seek help and guidance from Jah. This makes Kaya was much more than a ten-track love letter to marijuana. Instead, there was much more to Kaya. It touched on several themes, and in the process, demonstrated another side to Bob Marley and The Wailers’ music. Critics and fans accused Bob Marley and The Wailers of selling out when Kaya was released were wrong. This wasn’t the case, and instead, Kaya saw Bob Marley and The Wailers music evolving. Kaya was a much more subtle album, both in its content and style of music. With themes ranging from love, marijuana, unity, togetherness and spirituality, Kaya was a much more complex album than people realised. Originally, Kaya’s accusers had said it was no more than a love letter to marijuana. How wrong they were. The ten tracks on Kaya contained intelligent, thoughtful, introspective and beautiful music. These tracks demonstrated that Bob Marley and The Wailers were a versatile band, determined not to continue releasing albums of similar music. Instead, they wanted their music to be constantly evolving. This meant their music neither risked becoming stale nor predictable. While not as overtly militant as previous albums, Kaya’s ten tracks were all written by Bob Marley. 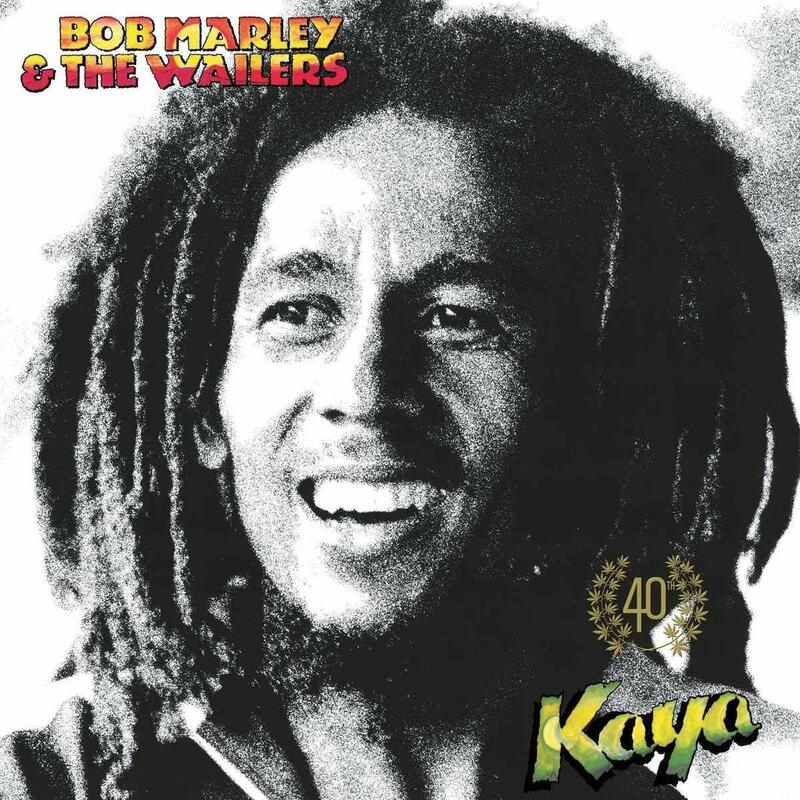 Unlike Exodus, which featured numerous songwriters, Kaya was all Bob Marley’s own work. It offered an insight to an intelligent, complex and spiritual man who had gained a reputation as Jamaica’s social conscience. However, Kaya demonstrated another side to Bob Marley’s songwriting skills as love songs sat side-by-side with pleas to unity, paeans to marijuana and songs about spirituality. While Kaya wasn’t immediately hailed a classic, in the intervening forty years, critics have performed a volte face. While many albums are referred to as classics, Bob Marley and The Wailers’ Kaya truly is a classic. Kaya deserves to be spoken about in the same breath as Burnin,’ Natty Dread and Exodus. Quite simply, Kaya is hugely important and powerful album which feature some intelligent, thoughtful, introspective and beautiful music from Bob Marley and The Wailers. ← ART ENSEMBLE OF CHICAGO-LES STANCES A SOPHIE.